Which Nutrients Increase Your Acetylcholine? Will Choline Help Me Lose Weight? Numerous diet products on the market contain various natural ingredients promising everything from weight loss to fat flushing to carbohydrate blocking. Some dietary supplements contain choline, an essential nutrient that your body produces naturally, which is vital for brain and nerve function, cell function and metabolic processes of the liver. In addition to being readily available in food sources such as peanut butter and egg yolks, choline is an ingredient in weight loss supplements; its lipotropic properties prevent fat deposition in the liver. According to CholineInfo.org, you may not be getting enough choline in your diet. The Food and Nutrition Board of the Institute of Medicine has set the daily recommended allowance of choline for adults at 425 mg for females and 550 mg for males. Eating foods rich in choline, such as beef and chicken liver, soybeans, milk and peanuts, can help you reach your daily intake of the vital nutrient. Bodybuilding.com lists choline as an important dietary supplement to help you burn fat more efficiently. Choline is a nonessential micronutrient that has been shown to have a lipotropic effect, meaning it promotes the body's use of fat and may help the liver dispose of "trapped" fats. On the scale of most effective weight loss supplements, according to Nutros.com, choline is not as effective as other nutrients such as pyruvate, green tea and 7-Keto, but still may provide positive benefits for individuals trying to lose weight. Beyond the possible benefits for weight loss, choline has been shown to have numerous health benefits. CholineInfo.org states that this vital nutrient may not only be helpful for brain and memory function, but also for its potential role in preventing age-related memory loss, dementia and Alzheimer’s disease. The National Institutes of Health funded a study in 2008 that found an association between dietary choline and a decreased risk of breast cancer. Supplemental choline may also help reduce overall blood cholesterol levels, according to Nutros.com. Choline marketed for fat reduction or weight loss is usually found in supplements that also containin carnitine. As a single nutrient, it is usually found under the names phosphatidylcholine or phosphatidylinositol. In addition to carnitine, choline is often combined with other B vitamins, especially inositol. While your body may not produce enough choline to support healthy functions, you can get enough dietary choline by eating foods rich in the nutrient, as opposed to taking supplements. As with all supplements, vitamins or natural products, it is important to discuss proper dosage with your doctor. Taking too much choline can cause toxicity side effects such as vomiting, decreased blood pressure, increased sweating and salivation, and a "fishy" body odor. 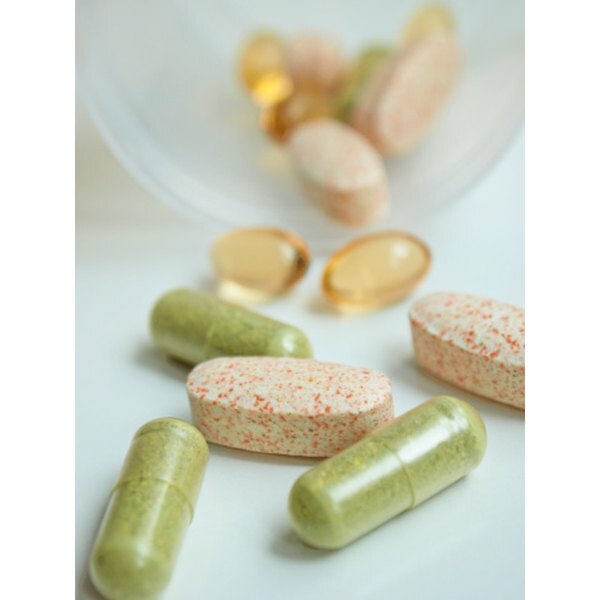 What Is the Supplement Lecithin Used For? How Does Lecithin Work in the Body? Is it Safe to Take Inositol With an SSRI? What Are the Benefits of Using Lecithin?